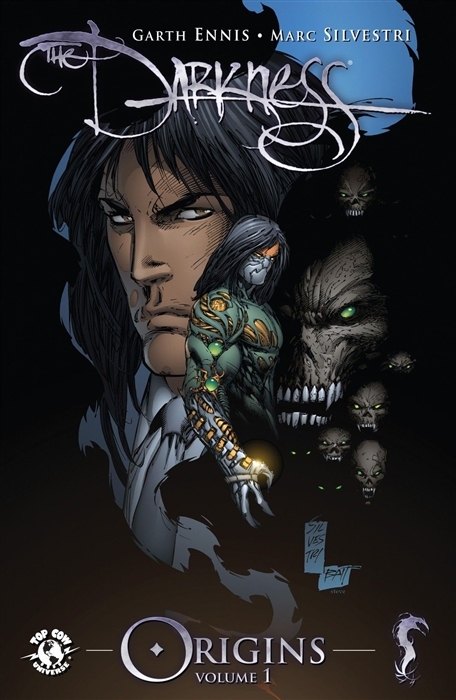 Mafia hitman Jackie Estacado was both blessed and cursed on his 21st birthday when he inherited the power of The Darkness, an elemental force that allows those who wield it access to an otherworldly dimension and control over the demons who dwell there. Forces for good in the world rise up to oppose Jackie and what his gift represents, but in this story… they are the bad guys. The sold out origin story by Garth Ennis (Punisher, Preacher) and Marc Silvestri (X-Men: Messiah Complex) is presented here as part of the brand new redesigned 'Origins' trade paperback line. 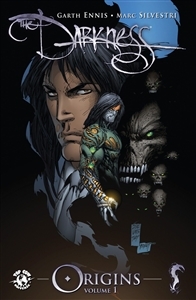 This volume collects The Darkness Volume 1 #1-6 along with a cover gallery and behind the scenes materials.